Happy New Year to all my readers! I hope that your new year was too ushered in in the usual style. It is often the case in many nations that instead of new tanks, industry preferred improved versions of tanks that were already in production. The Soviet tank industry was no exception in this regard. That was the start of the history of the T-60, for example. Factory #37 proposed that an improved T-60 with a 45 mm cannon and improved armour be built instead of the T-70. That time the gamble didn't succeed, and the T-45 remained experimental. In 1942-44, a the story repeated itself with the heavy KV tank, which brought to life the KV-100 and KV-122 tanks, the tale of which this article will tell. "From the first years of its existence, red cavalry greedily absorbed vehicles. During the civil war, many regiments had dozens of mounted machineguns. The desire to fight alongside aircraft, armoured cars, and tanks is especially strong among the cavalry commanders. Not a single man even once said that the horsemen need nothing but sabers and no vehicles at all. On the other hand, everyone always says "give us vehicles". However, give us vehicles that do not hamper our mobility, that won't slow us down, which can increase the mobility of horses, not decrease it. There is not a single commander that does not aim to accept such a vehicle. We have situations without historical precedent. 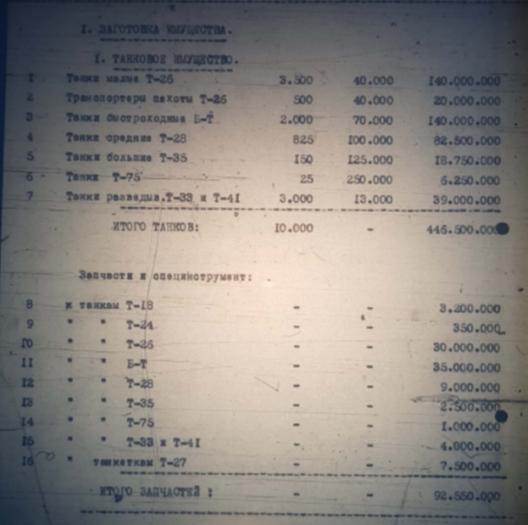 The commander of one division sent in a telegram to the chair of the Revolutionary Military Committee: "Comrade Voroshilov, if you can sell tanks, then I will purchase a squadron of these tanks with my own money." There has not been such an event in history! He said directly, I will buy a squadron of tanks with my own money, as long as you can sell it." The heavy IS-2 tank designed by comrade Kotin with a 122 mm gun designed by comrade Petrov (NKV factory #9) with tactical-technical characteristics matching those in attachment #1 is to be accepted into service. The People's Commissar of Tank Production (comrade Malyshev), Chief Designer of the NKTP (comrade Kotin), and Director of the Kirov Factory (comrade Zaltsmann) must provide for the production of 35 tanks in December out of the quota for production of IS tanks established by GOKO decree 4043ss of September 4th of this year. The People's Commissar of Armament (comrade Ustinov), Director of factory #9 (comrade Petrov) must design and produce by January 1st, 1944, a sliding semi-automatic breech for the D-25 gun, and jointly with the NKTP, GAU, and GBTU perform proving grounds trials of this gun in an IS-2 tank by January 15th. 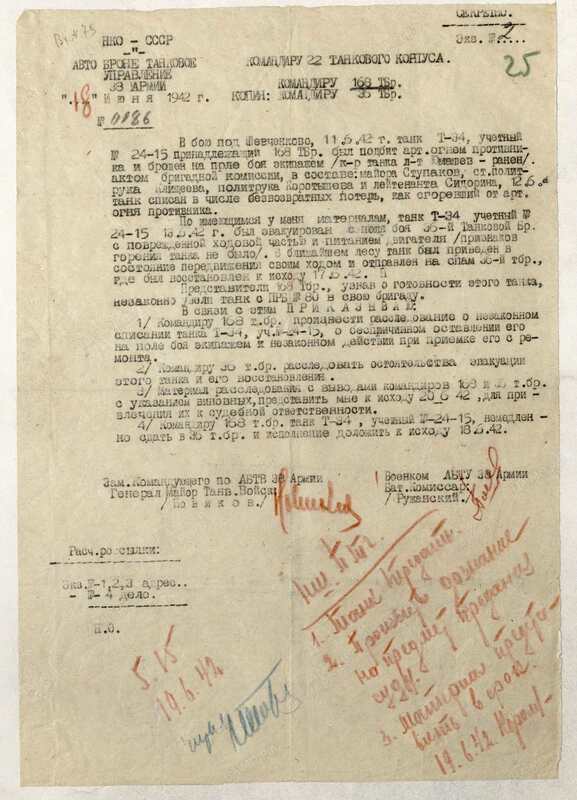 The People's Commissar of Tank Production (comrade Malyshev) and Director of the Uralmash factory (comrade Muzrukov) must ensure the delivery of D-25 gun half-stock to factory #9 according to the amounts and deadlines outlined in the agreement with the NKV. The People's Commissar of Tank Production (comrade Malyshev), People's Commissar of Armament (comrade Ustinov), Chief Designers comrades Kotin and Petrov, Directors of the Kirov and #9 factories, comrades Zaltsmann and comrade Gonor, must correct all the defects in the IS-2 tank and the D-25 gun listed in attachment #2 before putting beginning mass production. Trials of track links cast from Hadfield steel for the A-34 vehicle. Results of preliminary trials that consisted of driving for 420 km, including 140 km on a cobblestone highway, were satisfactory. The vehicle reached an average speed of 37 kph on a cobblestone highway, and several braking maneuvers were performed when driving at top speed (50 kph). After inspection, cracks were discovered in about 80% of the tracks with teeth. Trials of the track continue until it is worn out completely. Trials of mechanical servo controls are being performed on that vehicle. The results are good. I consider it necessary to introduce mechanical servo controls into production. In May 150 hour warranty trials of an A-7M with a V-2 engine were performed. The vehicle travelled for 2050 km. The engine worked for 65 hours, after which trials were stopped due to a defect of the engine (penetration of gases). In parallel, replacement components, including a cast iron gearbox case, were tested. The vehicle drove for 800 km, after which the case cracked. At this time another gearbox with a reinforced iron case is being prepared for trials on another A-7M. A vehicle with substitutes for components that use non ferrous metals is being prepared for trials, which will begin in the early days of June. Inspection of parts of an A-5 vehicle which is due to receive a six cylinder V-3 engine. The refurbishing of this vehicle is delayed because factories #75 and #183 cannot agree on the required degree of modernization. An A-7M with a factory #75 engine with a 150 hour warranty is being assembled. The Voroshilovets tractor with a V-3 (six cylinder) diesel is assembled and has gone through a breaking in drive. As a result of the drive, a number of defects were discovered in transmission components. The tractor is being repaired and will be ready for factory trials on June 2nd-3rd. Partial warranty trials of Voroshilovets tractor #68 were performed in May. The trials were delayed due to a refusal by factory #183 to carry out the trials at its expense. Presently, the trials have resumed. In addition, a number of experimental components with replacement metals are being tested in the Voroshilovets tractor. Design bureau "520" is working on blueprints for a flamethrower installed in the A-34 tank. All detailed blueprints must be ready and submitted into production by June 1st, 1940. Work on a technical tractor on the A-34 chassis is underway. 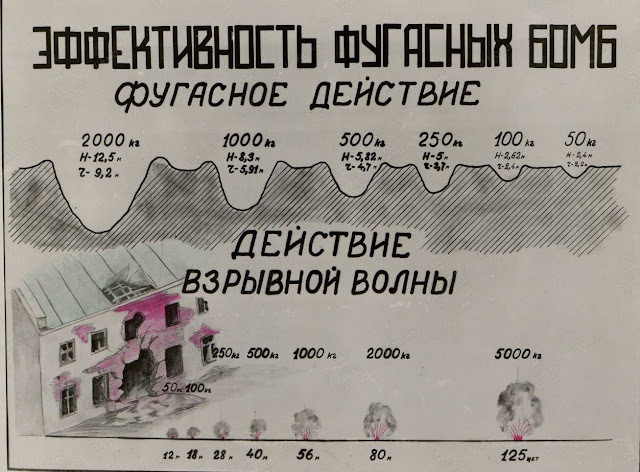 In May factory #183 received the objectives for 1940, but a specific plan for achieving those objectives was not established. A number of objectives might not be met, such as the trials of the V-2 engine in special conditions, as the factory does not have clarity on this issue and no specific measures are being planned. It is necessary to clarify a number of issues in the immediate future in order for the factory to complete its objectives in the required timeframe. ABTU Military Representative, Military Engineer 3rd Class Baikov"
Vehicle #608-01 with a 71-TK-3 radio transmitter #2205, receiver #2251, RUN-75 #31140, RUN-10 #30905, TPU-3M #5. Installation of the radio is in the front of the vehicle according to the conclusions of the commission on September 28th. Establish the radio range between two vehicles in motion. Notes: the trials are a part of the trials of 10 vehicles requested by item 16 of the commission's concluding statement. Determine the reliability and range of the radio communication if the antenna is tilted (middle position of the antenna mount). Ability to work through the TPU-3M. Reliability of the radio mounts. All sorts of stories have been spun around the half-mythical P.1000 super-heavy tank. Enthusiasts even made up a name for it: Ratte, German for "rat". It's hard to get to the truth under all the tales, but we can try. Such a tank was really designed, and was really considered by the Third Reich. In addition, models of two variants of the P.1000 were built. A monster like for "genosse Duchatschewski"
The story of Edward Grotte, the creator of the P.1000, is no less interesting than his tanks. Herr Grotte's career in the Soviet Union is worthy of a separate article, at the very least. Here, the talented designer created a very original medium tank. The TG tank had powerful armament, thick armour, and a convertible drive. The originality of the project, including an engine Grotte designed himself, was the cause of its downfall. Nevertheless, one can say with certainty that the TG was more promising than German designs that were being tested at the TEKO proving grounds around that time. The prime cost includes: cost of materials, half-stock (both locally produced or purchased) and purchased components, cost of fuel and electrical energy, salaries and percentages, production setup costs, third party services, wear and tear on special tools and equipment, other direct costs, plant operation costs, overall factory operation costs, non-production costs. The T-34 tank is faster, more maneuverable, and has superior off-road mobility than our PzIII and PzIV tanks, and its armour is thicker than the armour of our tanks. Its 76 mm gun surpasses our 50 and 75 mm guns in penetration. Its advantageous positioning (sloped position of all surfaces) helps shells slip off. Receiver with the frame on two mounts in front of the bow gunner/radio operator's seat. Transmitter with the frame to the right of the bow gunner/radio operator's seat between the front suspension spring and first suspension spring shaft. RUN-10 converter and battery are under the receiver on the front balancer beam. RUN-75 converter on the right under the transmitter. The antenna is installed in the right sloped hull wall. The central switch is under the radio in a bustle near the antenna port. The switchboard and distribution panel are located on the front sloped plate between the driver's hatch and the MG mount. A reserve for modernization built into a tank's design is one of its most important features, especially in wartime. In this respect, the American Medium Tank M4 is an outstanding example. Thanks to its 1750 mm wide turret ring, it could receive a much larger turret than the one used initially. During production, the tank's protection from the front was improved. Finally, the suspension of the M4 could be improved significantly without changing the rest of the vehicle. The M4A1, M4A2, and M4A3 were major steps for this project. Today let us talk about the peak of evolution for the M4A2 family: the M4A2E8. Although it came late, it managed to make it in time to see battle with the Red Army. According to existing data, the money box belonging to the finance section of the 11th Army HQ was abandoned along with its contents of 20,000 rubles during the retreat of the forces. Perform an investigation and hold the guilty responsible. Report to me on the results. Chief of the 2nd Department, Major Terpilovkiy"
Via the Ministry of Defense of the Russian Federation. 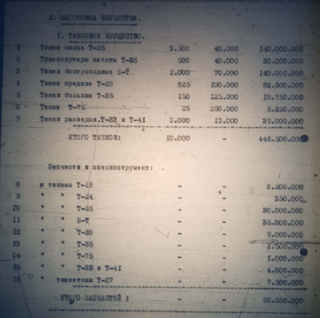 During the early stages of the war over 41 million Soviet rubles were left in banks that fell into enemy hands and over 44.7 million rubles were burned, buried, or otherwise destroyed before retreating. A while ago I posted some data on the effectiveness of high explosive rounds. Recently, a similar infographic came up, but for bombs. I thought it would be interesting to compare the results of the two. The first sequence shows the size of the hole a bomb makes in the ground (the height and radius) and the second shows how far the shockwave travels. The smallest of the bunch is the 50 kg bomb, forming a 2.4 meter deep crater 2.2 meters in radius. This is comparable to the effect of a 152 mm HE shell, which creates a wider crater (2.5 meters in radius), but a shallower one (1.8 meters deep). The shockwave from such a bomb would travel for 12 meters. Unfortunately, no fragmentation effect is given for the bomb, nor an explosive effect for the shell, so it's hard to compare. We can compare the appreciable difference between the smallest bomb in the Soviet arsenal and the largest shell at the corps artillery level. Unfortunately, the source doesn't say what year this budget came from. There are some hints though. The T-33 is a precursor of the T-37A tank. A prototype was built in the spring of 1932, but the tank did not do well in trials and was not accepted for mass production. Presumably, this budget was composed shortly before the decision to not produce the tank was made. The T-41 was also an amphibious reconnaissance tank, which underwent trials in the fall of 1932. The fact that Grotte's TG-1 tank is absent from the list altogether and the T-24 is only listed in the spare part production section agrees with this timeframe. This seems about the right time that something like a superheavy tank that cost twice as much as a T-35 would still be considered viable. to certify that preliminary mechanical trials of mechanical servo devices for control of an A-34 vehicle #311-18-3 were performed from May 12th to May 15th, 1940. The servo device was designed by bureau 520 designer comrade P.P. Vasiliev and installed in the vehicle based on the author's directions, without installation blueprints. The proposed servo system eases the effort the driver must apply to levers with the aid of a mechanical system (unlike the earlier pneumatic system), thanks to the actions of the levers and assistance springs. The servo acts when the final drives are disengaged or when the brake ribbons are tightened by the levers. In addition, a change to the return spring on the brake control rods reduced the effort applied to the brake pedal. During trials between May 12th and May 15th the vehicle travelled 278 km on sand and dirt roads. Within that range turns and figure 8 maneuvers in 1st and 2nd gear were performed on dirt roads and in sand. No defects in the mechanical servo device were observed during trials. The opinion of all commission members that took part in driving the vehicle, specifically the experienced test drivers, was that the proposed device of the mechanical servo on the A-34 does not require special skills or training to operate, does not cause exhaustion during driving, and does not require special calibration or difficult maintenance. Effort applied when turning in 3rd or 4th gear did not exceed 15 kg. It is simple to produce. It does not require complex maintenance. It does not require special skills to operate. It does not tire the driver during operation. The commission deems it necessary to equip a trial batch of A-34 vehicles with mechanical servo devices instead of pneumatic. Bureau 520 must ensure maximum robustness and resistance to wear for components when producing final blueprints. In addition to the above, the commission considers it necessary for plant #540 to produce one or two sets of servo devices for reliability trials. The Ferdinand was unusual among German WWII era SPGs. A number of things, such as the armament and armour, make it exceptional. However, only a small number of these SPGs was built. There were other tank destroyers armed with the same 8.8 cm Pak 43 gun, and the Germans built a whole lot more of them. One was the 8.8 cm PaK 43/1 auf Geschützwagen III/IV (Sf), otherwise known as the Hornisse (Hornet) or Nashorn (Rhino). The Nashorn was often confused for the Ferdinand, which is understandable: the SPG was not a small vehicle. Immediately issue a general order to your units to use 122 mm howitzer HEAT rounds. In addition to armoured targets, use HEAT rounds against brick buildings. Chief of Staff of Artillery of the Army, Guards Lieutenant-Colonel Boriskov"
The TPU-3M prototypes meet the tactical-technical requirements set by the US and ABTU. The TPU-3M intercom device allows very satisfactory communications via radio between KV tanks at expected ranges between KV tanks both while stationary or during movement in 1st, 2nd, or 3rd gear, and satisfactory communication in 4th gear. No difference could be detected when comparing the legibility of transmissions made through the tank radio directly and those made through the TPU-3M intercom device. The TPU-3M intercom allows tank crews to communicate with each other in 1st, 2nd, and 3rd gear and is satisfactory in 4th gear (some words had to be repeated). The TPU-3M intercom meets the requirements for use in tanks in terms of simplicity and reliability. The use of an MA type microphone with an activation button is difficult for the crew, especially the driver. The commission tested two angled differential throat microphones produced at factory #197 with the TPU-3M. Communication between the commander and radio operator at all speeds was satisfactory. Communication between two tanks, both in motion and stationary, was satisfactory. The commission considers it necessary to use throat microphones with the TPU-3M device. Acoustic interference in the KV tank make it necessary to connect the commander and the gunner with an intercom, as voice communication between them is difficult. NIST and factory #197 provided a layout that can provide a connection for a fourth member (gunner) to the TPU-3M device, which gave good results both in motion and while stationary. The commission considers it sensible to add the fourth member of the KV tank crew to the intercom. The commission considers that the TPU-3M tank intercom device produced by factory #197 can be put into production in 1940 after correction of defects. The commission considers that in 1941 production the TPU-3M intercom device should be equipped with a throat microphone, for which factory #197 must design a new throat microphone based on the samples tested by the commission. During the fighting of the Corps from January 14th to March 10th, 1945, SU-100 SPGs were used as tanks, as the Corps fought in operative depth and was almost entirely equipped with SU-100 SPGs. The off-road mobility of the SU-100 is reduced compared to the T-34 tank, due to the increase in weight and shifting of the center of mass forward due to the longer gun and thickening of the front armour. This adds additional load on the front wheels. When crossing obstacles off-road, the gun can strike the ground and then the barrel bursts when firing. The gun mount can shift during sudden turns and driving on uneven terrain. There were cases of a complete breakaway of the elevation mechanism. I report to you regarding the progress of carrying out Central Committee of the VKP(b) decrees ## 976-368, 973-366, and 885-330 as of August 1st, 1940. Factory #183 must deliver 10 units in June and 20 units in July. Progress: as of August 1st, 1940, factory #183 produced 10 T-34 tanks instead of 30 ordered by the Decree. The main reason for this shortfall is the slow rate of preparation for production at factory #183 and unfulfilled orders for instruments, devices, stamps, etc. made at GAZ, ZIS, HTZ, STZ, and other factories. The Stalingrad Tractor Factory is starting to set up T-34 production, but has not produced any tanks. With the help of factory #183 one tank was completed and breaking in is presently in progress. The decree orders the NKO to supply the Kirov factory with T-28 tanks without need of repairs or modernization for installation of applique armour. Provide 35 vehicles by June 5th, 50 vehicles by June 25th, including 15 vehicles already present at the factory. Progress: as of August 1st, 1940, the Kirov factory had installed applique armour on 54 vehicles. The shipment of 50 tanks had not arrived, as the Belorussian Special Military District, which was ordered to supply the tanks, did not have enough fully ready tanks in connection with increased rates of use in recent time. Orders were given to the Kiev Special Military District to supply the tanks. The tanks have not yet arrived. To obtain final approval of blueprints and technical requirements, instruct the People's Commissar of Defense, comrade Timoshenko, and the People's Commissar of Heavy Machinebuilding, comrade Yefremov, to form a commission for trials of a KV tank with a large turret. Trials must be held in Leningrad no later than June 15th, 1940, lasting no less than 1000 km. Progress: trials were held in Leningrad. The tank travelled 2565 km during trials, 884 on a highway, 656 on a dirt road, and 1025 off-road. trials gave mostly satisfactory results. A number of requests were made of the factory to make improvements and finish the blueprints and technical requirements for approval. An additional report will be supplied. Assistant Chief of the ABTU, Lieutenant-General of the Tank Forces, Fedorenko"
The birth of tank building during WWI did not go unnoticed by the Russian Empire. Pokrovshikov's Vezdekhod tank is often mentioned in this context, but this demonstration vehicle did not bring much value. The Tsar-Tank, aka Netopyr, designed by Lebedenko was equally useless. It was the largest tank in history, but its list of achievements ends there. In practice, the history of Russian tank building seriously began after the October revolution. Its first step was to copy the successful French Renault FT tank. In battle at Shevchenkovo, on June 11th, 1942, a T-34 tank with registration number #24-15 belonging to the 168th TBr was knocked out by enemy artillery fire and abandoned by its crew (the commander was Lieutenant Yumashev, who was wounded). An act of the brigade commission consisting of Major Stupakov, Sr. Political Chief Korotyshev, and Lieutenant Sidorin. On June 12th the tank was written off as an irreparable loss as burned up from enemy fire. Based on the materials I possess, T-34 #24-15 was evacuated from the battlefield by the 36th TBr on June 13th, 1942 with damaged running gear and functional engine (there were no signs of fire). In the nearby forest the tank was brought back into action and drove on its own power to the 36th TBr's repair yard, where it was restored by June 17th, 1942. Representatives of the 168th TBr, having discovered the tank is battle ready, unlawfully drove the tank from mobile repair base #80 to their own brigade. The commander of the 168th TBr must conduct an investigation into the unlawful writing off of the T-34 tank #24-15, its abandonment on the battlefield, and actions regarding obtaining it from the repair yard. The commander of the 36th TBr must investigate the specifics of the evacuation of the tank and its repair. The results of investigations conducted by the commanders of the 36th and 168th Tank Brigades must be delivered to me by the end of June 20th, 1942, with the indication of a guilty party to hold it criminally responsible. The commander of the 168th TBr must immediately turn over T-34 #24-15 to the 36th TBr and report by the end of the day of June 18th, 1942. ABTU Military Commissar, Battalion Commissar Ruzhanskiy"
Two variants of a T-34 with a flamethrower have been developed. Presently, working blueprints are being composed. The deadlines outlined in the agreement are not being met. A technical project of a tractor on the T-34 chassis has been completed. Working blueprints of several components have been sent to production. The established deadlines are not being met. Production of blueprints is running 15-20 days late. Trials of the V-3 engine on an A-5 tank were performed. Trials began on July 17th, but the first outing showed that 250 hp is not enough for an A-5 tank. The engine only reached 1400 RPM in 4th gear on level terrain. After that, the engine was removed and adjusted to 300 hp. Trials resumed on July 24th. The mobility of the vehicle improved with an increase in power. The engine reaches 1800-1900 RPM on level terrain. As of July 31st, the engine had worked for 30 hours, after which it broke due to gas penetration. Assembly of two T-34 tanks with M-250 engines was performed. One tank was completed, and trials will begin on August 1st. The second vehicle is due for completion on August 10th. Voroshilovets tractor trials with components made with substitutes were performed. The tractor went through 1000 km of high speed trials. Towing trials remain, which will be performed in August. Two Voroshilovets tractors were assembled for installation of pneumatic controls. Installation of pneumatic controls will begin on August 1st and complete in the first half of August. Acting regional engineer, Captain Rusakov"
When tanks were used primarily for infantry support, there was no such thing as too many machineguns. Little machinegun cupolas or full on turrets were quite useful. However, as tanks evolved, the bristle of machineguns boiled down to just one in a ball mount in the front hull. Even this feature came under scrutiny, however, as this British document shows. "As far as is known no useful progress has been made on this and as has been stated on innumerable amount of occasions before, unless the Ordnance agrees to change the shape of the front glacis plate, they are unlikely to attain a satisfactory solution. It is extremely unfortunate that no honest attempt has been made to tackle this design in the past nine months, since the short ranges of Tunisia have shown that the machine gun will come into its own and this bow machine gun with no sight is merely a means of wasting valuable ammunition. Quite recently it was reported from Tunisia that a tank had expended twice its normal complement of S.A.A. Obviously it cannot be wasted hose-piping it from an unsighted gun. 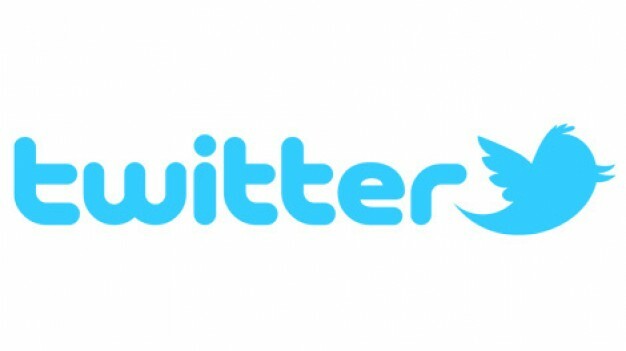 In the absence of any sight, the following alternative solution is offered. As the bow machine gun stands today, it is the weakest point of the tank. That is to say, the strongest part of the front glacis plate of the M.4 will withstand a striking velocity of 2400 f.s. from 3" A.P.C. M.62 ammunition. The bow gun represents only 1300 f.s. S.V. Officers returned from Africa are of the opinion that this bow machine gun, whether provided with a sight or no, is a waste of ammunition, since it cannot be commanded. They would much prefer twin machine guns in the co-axial mount. We continue to press the Armoured Force for this. Meanwhile, it is recommended that the whole question should be reconsidered by D.R.A.C. with the view to agreeing to the elimination of this bow machine gun in tanks as long as no sight is forthcoming." Field trials were carried out in Mytishi-Zagorsk in Moscow oblast. Laboratory trials were carried out in laboratories #10 and 17 of NII-20. Testers were given two complete sets of KRSTB radios. A third radio was used to create interference. Main electrical and design characteristics of the equipment. Trials were carried out with tanks in motion: A-7 at 45-50 kph, T-26 at 25-30 kph. The air temperature was -31 degrees Celsius. Radio communication reliability was tested by passing short radio messages. The issues that the German PzIII medium tank encountered can be tracked by the rate of its production. Only 896 vehicles of this type, including command tanks, were built in 1940. This is a small number, especially considering that German manufacturing shifted to a wartime schedule and up to 7 factories were building this tank simultaneously. To compare, Krupp alone built 290 PzIVs in 1940, and BMM built 370 Pz38(t)s. It was only in the spring of 1941 that the PzIII rose to first place, becoming the most numerous tank built in Germany, a position it held until the end of 1942. The tank remained the most numerous in the German army until mid-1943. Today let us talk about the last variants of this tank: the PzIII Ausf.J through N.
122 mm HEAT rounds were fired at a range of 4000-4500 meters using the DT scale and the stock special charge. Calibration was performed against targets located on a hill pointed towards the battery and a flat horizontal clearing. 90-95% of the shells burst. The explosion is thermite type. When shooting at targets positioned on reverse slopes, the shells ricochet and do not explode. Firing at narrow targets from 4000-4500 meters is ineffective due to high dispersion. Firing at personnel is also ineffective. Compared to the HE-fragmentation grenade there are a lot fewer fragments, and thus a lot less damage is dealt. Firing at dugouts, pillboxes, tanks, or armoured cars was not performed. Conclusions: using HEAT shells fired from a 122 mm howitzer at a range of over 2 km against enemy personnel or MG nests is unreasonable due to low effectiveness. Chief of Staff, Captain [signature]"
1. Issue: on the introduction of the F-32 and 45 mm gun on the T-34. Factory's opinion: in order to prepare production in a timely manner and make the necessary order for armour at the Ilyich factory, it is necessary to install each type of system (L-11, 45 mm, F-32) in the T-34 tank in 1940. Our queries to the BTU remain unanswered. 200 L-11 systems will be delivered in 1940. Past that, it will be necessary to install the 45 mm gun in the turret designed for the F-32 with conversion parts. Factory #183 must investigate the issue of the possibility of installing the 45 mm gun and the F-32 in the L-11 turret by October 1st. Chief of the GBTU Tank Directorate, Major-General of the Tank Engineering Service, Afonin"